Amazon is running a special "Stocking Stuffer" sale on selected items for the month of December. 10% off. 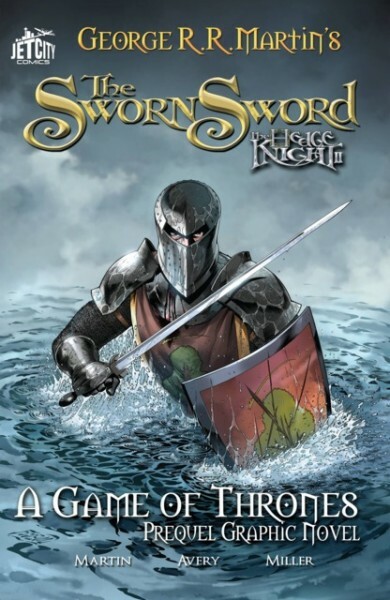 The selected specials include the HEDGE KNIGHT and SWORN SWORD graphic novels from Jet City Comics. And happy shopping to all. I'm a fan of prose and a fan of comics so you guys can trust my advice. Buy these; they are good. Avery and Miller do some entertaining work with these. It is art; marvel at it people. Any word on the next Hedge Knight graphic novel? I bought these just last week. I couldn't pass them up at that price.